The Sankalp Se Sidhi Programme was organized by KVK, Sundargarh-II with the kind presence of Shri Jual Oram ji, Hon’ble Union Minister of Tribal Affairs, Govt. of India, New Delhi as Chief Guest. About 400 participants including Farmers, Farm women and other stackholders participated in this programme. Hon’ble Minister administered the pledge to all the participants to be a part of endeavor to achieve Doubling of Farmers’ income by the year 2022. 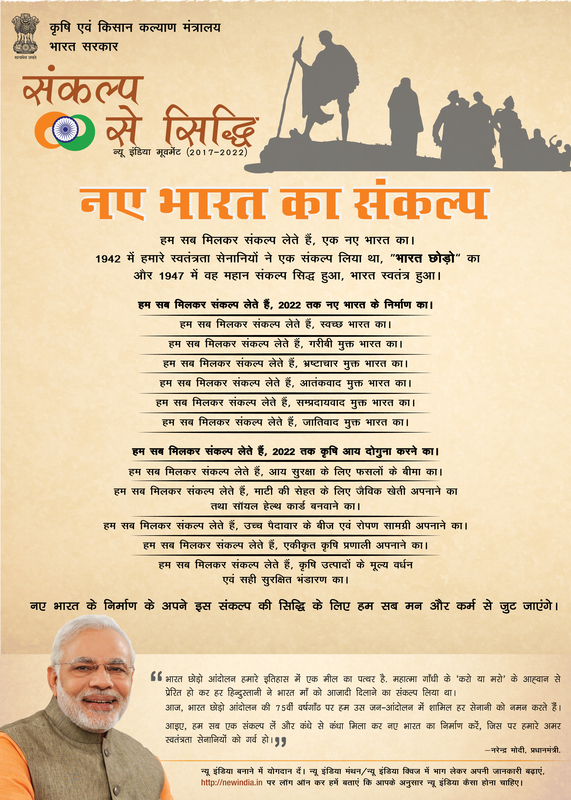 He gave the message of Hon’ble Prime Minister of Republic of India. He stressed upon to adopt new technologies in agriculture to boost the income and advised the farming community to come forward in this mission for making a new India. He highlighted the government initiatives meant for agriculture and allied sector and appreciated the effort make by KVKs in this regards. He mentioned the good results already obtained from the Neem coated urea, PMFBY and other programmes.